This year our performers were Henley brother and sister Felix, aged 10, and Didi, aged 8, Richardson, on 14th December at Holy Trinity church. The duo, junior winners of ‘Henley’s Got Talent Contest’, roused the church with a selection of rock music, with Felix playing an electronic guitar, and Didi playing the drums. The proceeds of a collection made at the performance was donated to the ‘Berkshire MS Therapy Centre’. 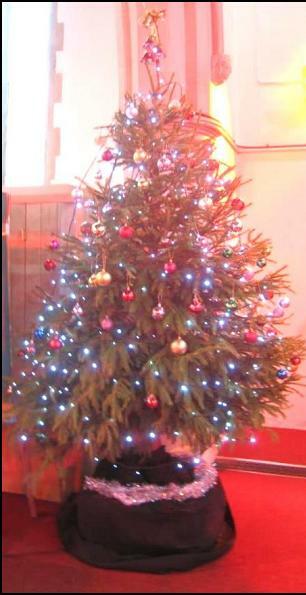 On 23rd December, a delightful candlelit carol service was held at Holy Trinity church; the service was well attended. The candles were placed in windowsills, and other locations throughout the church. 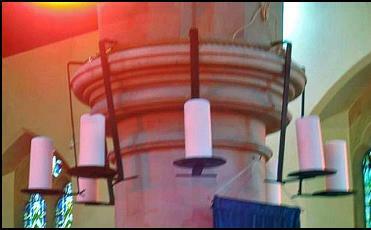 New special candleholders, made by a local blacksmith, encircled the tops of the stone columns in the nave. The church has bought 150 new bibles to replace its worn out existing ones. Donations from churchgoers paid for the cost of the new Bibles. The next purchase will be a trolley on which to store the bibles, rather than keeping them under the chairs as we have done in the past. Holy Trinity church was gloriously decorated for Christmas. 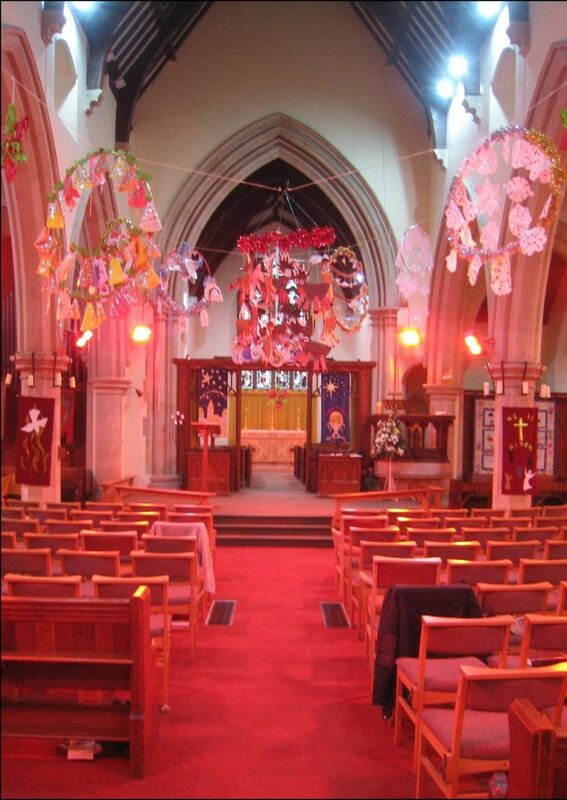 The displays of flowers around the church were the work of the flower ladies. 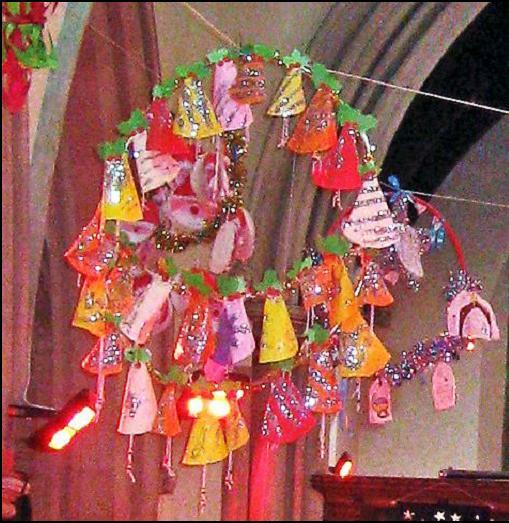 Many large elaborate and colourful decorations, made by children of Holy Trinity School, hung high in the nave, and added to the church’s festive and joyous atmosphere.